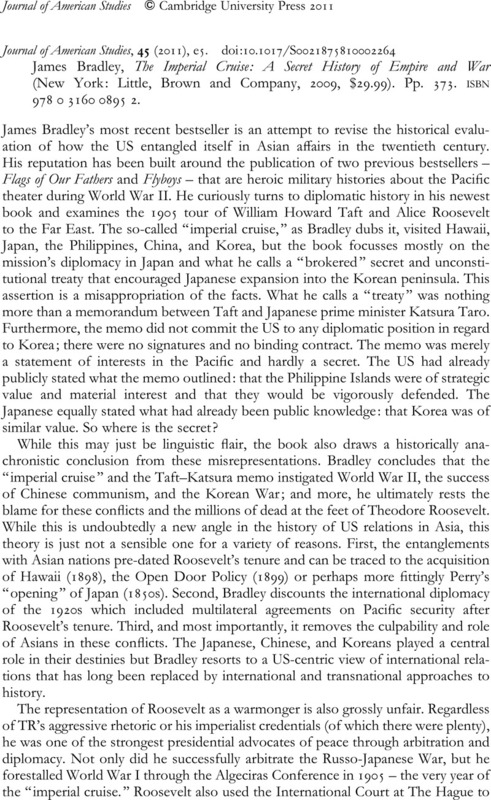 James Bradley, The Imperial Cruise: A Secret History of Empire and War (New York: Little, Brown and Company, 2009, $29.99). Pp. 373. isbn978 0 3160 0895 2.